This is a topic I have been thinking about more and more lately. Between work obligations, family, travel and just the weekly grind, I find myself wanting and needing to say "no" to more things. No to my co-workers for an after work happy hour. No to a friend's birthday dinner out on a weeknight. Or any night, really. As a working Mom, my life consists of work and family. I am away from H so much doing the day, that I feel like my free time should be dedicated to her and The Husband. And I want to dedicate that time to them. Friday Happy Hour in my backyard with my wonderful husband and daughter is way better than most downtown happy hours I have attended. I do book club once a month on a week night, and I have occasional girls weekends away, but I really enjoy time with my family of 3 more than anything. And I am ok with that. 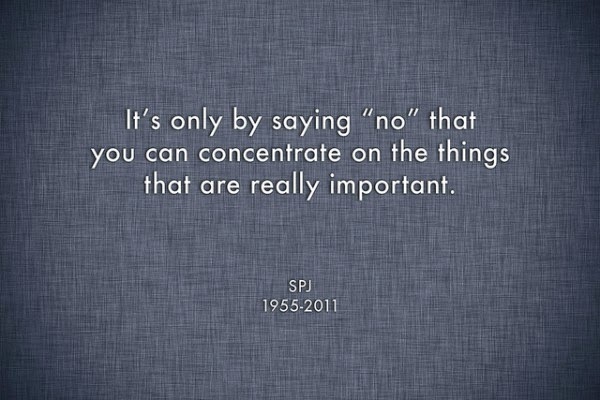 The problem lies in that I sometimes feel obligated to do things, when really I want to say, "no." I am pretty good with saying no to non-important stuff. That doesn't really bother me. I mostly feel bad when I say no to something that concerns a good friend. Like I should want to do that thing with them or for them, but I really just don't. I want to go home and hang out with my family. I want that rare free weekend to be mine, all mine. I like to think of myself as a pretty good friend. I don't have a lot of them, I have found that maintaining friendships later in life is difficult. I don't live in the same city I went to school in or grew up in. I am not close with most of my college friends, and only keep in touch with a few of them. People move away, people are busy, people are wrapped up in their own life. But I try to be a good communicator, and think I do a pretty good job of calling people (the 2+ hours a day I spend commuting really help with this), sending cards, and making an effort to visit when I can. I hope that the friends I have think of me like this, and know that I love them and want to be a part of their lives. Even if I forget their birthday. Which I totally do and I am up front with that. Please forgive me, because I promise to be your friend 365 days a year, not just on your birthday. The Husband and I are both really low on the emotion scale. We are pretty even tempered, not much bothers me, I don't get my feelings hurt that often. So, for example, if I were having a birthday dinner and invited friends, I would not care one bit if someone didn't come. But that is probably a bad example, because I would never have a dinner because I don't like to ask people do to anything for me. But you get the point. But I realize that other people are not that way. So if I can't make it to a good friend's happy hour, going away party, shower, wedding, whatever, is it hurting their feelings? Or are people understanding that it is hard to fit it all in, and do they know that I do care about them, I just care about me a little bit more? I love your post. I can totally relate to what you are saying. Thanks for sharing. Okay. I'm totally right there with you. And, honestly I don't think everyone feels the way we do. It might have something to do with working outside of the home (and working long hours + traveling) but I want every free moment to be with Jonah and Jeremy. I really feel like some of my fellow working Mom friends understand when we say NO to certain events. They get it. Long days at the office are tiring and sometimes mentally exhausting. Just want to go home and love on my people. And bake stuff. And on the other hand, some of my stay at home Mom friends do not understand this. I think it's because they are in their home all day. With their kids. They see their Hubs all the time and they just want OUT. Ya know? Honestly, just about every SAHM friend of mine feels this way. And I kinda get it. It's just the opposite of how I feel. Regardless, a true friend will get it. Or, if they don't get it- they still will be OK with your answer. Will respect it. And will just move on. Right?? ?